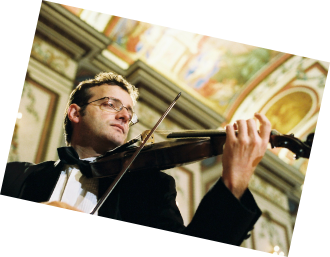 born in Budapest studied Viola at the Franz List Music Academy (Prof. Sándor Nagy) and chamber music with Prof. Ferenc Rados. Since 1989 member of the Ferenc Erkel chamber orchestra and the Budapest National Philharmony. He is also well known as a singer, composer and song writer (Bolyki Brothers). Numerous Radio, TV and CD productions.